Pop quiz: What’s the best selling golf shoe of all time? Below is the newest rendition of the FJ Contour for 2017, the Contour Fit. The key focus of the Contour Fit is comfort. 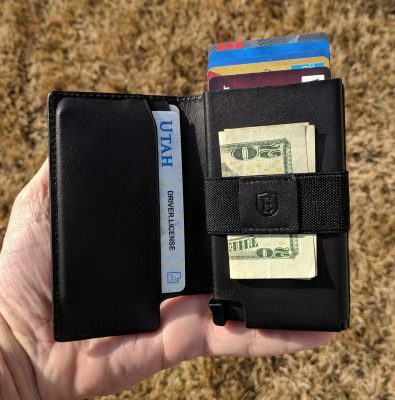 This is a “first look” post. I will be testing out the Contour Fit as soon as the snow melts, or as soon as I get out of here and head to a warmer climate. Until then, enjoy the photos. Talk about torture. In my hands are the new FootJoy Freestyle Golf Shoes, just waiting to be put into action. The problem is all of the local courses are closed, all covered with snow. Come on global warming. The new Freestyle’s look to me to be a combination of several of their latest models, from the D.N.A. to the Icon to the Hyperflex. If the Freestyle is as comfortable as the D.N.A. and as stable as the Hyperflex, they could be the best golf shoes ever. 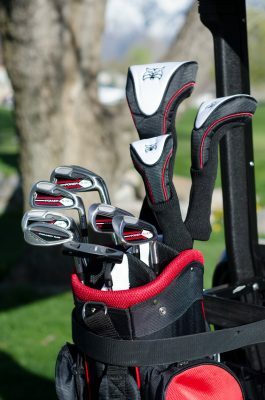 As soon as the snow melts I’ll be strapping these bad boys on and beginning the rigorous Hooked On Golf Blog test battery. I might have to schedule a golf trip before the snow melts though. Not sure I can wait that long. 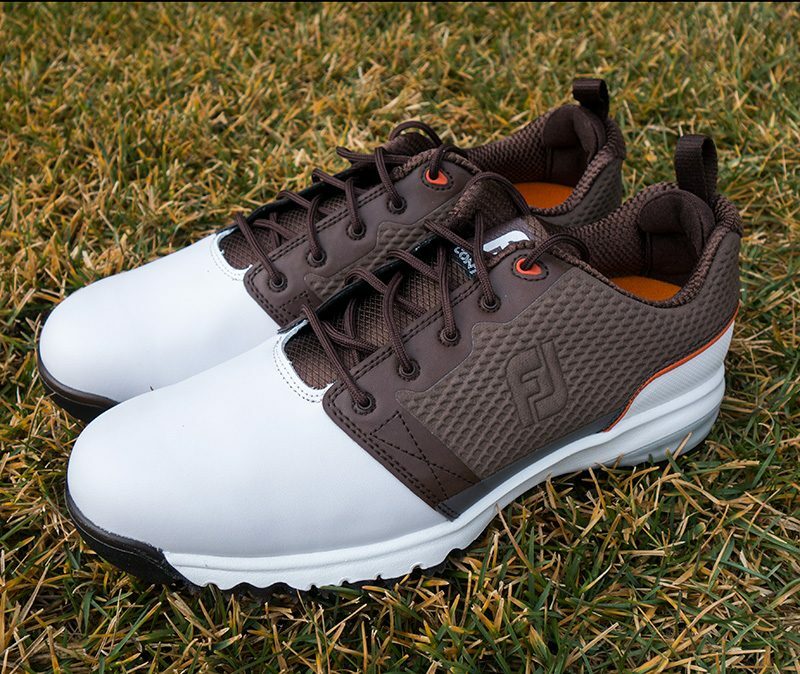 FootJoy, the #1 Shoe in Golf, introduces a radically new category of golf shoes, called FreeStyle, highlighted by unique technology specifically designed to deliver exceptional traction, mobility and comfort. FreeStyle shoes help generate maximum power by providing greater freedom of movement throughout the golf swing. Through internal testing it has been determined that some players can benefit from structured, stable shoes (like ICON Black™ and DryJoys Tour™) to help quiet their lower half and maintain control while maximizing performance, yet this testing also found there are others who want to be able to roll uninhibited throughout their swing. Freedom of movement for these types of players equates to increased power and the construction of the Freestyle shoes deliver the most mobile characteristics of any category in the FJ lineup. While FreeStyle allows for a more natural movement, the shoe doesn’t compromise on grip – a crucial factor in generating more power. The inspiration for this supreme grip comes from a Red-Eyed Tree Frog who generates incredible gripping power on any surface; hence the birth of F.R.O.G.S. 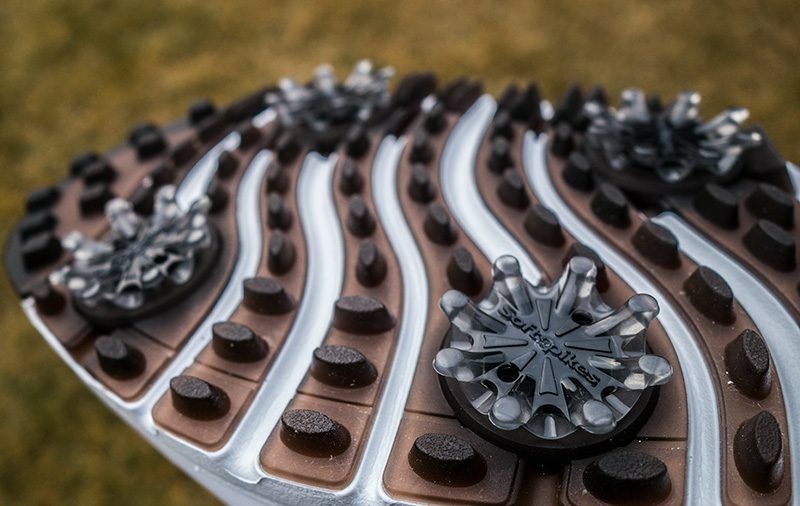 outsole technology, where traction elements increase ground contact points throughout the swing in all weather and underfoot conditions. F.R.O.G.S. Technology incorporates a super-flexible new SoftMaxTM translucent outsole that offers both a softer feel and extra grip, while a new FTFTM 3.0 midsole compound is the brand’s softest and most comfortable yet. The Softspikes Tour LockTM system and new translucent Pulsar cleats deliver exceptional low-profile grip with a dynamic, frog-like flex. Beneath the upper is an InnerSokTM Fit System – including both TongueLokTM and HeelLokTM mechanisms – to help hold the foot securely in place throughout the golf swing. The F.R.O.G.S. outsole (FJ’s Revolutionary Outsole Grip System) is constructed utilizing SoftMax™ molded translucent rubber delivering soft cushioning and complete mobility. The Pulsar cleats feature dynamic cushioning and green-friendly traction. Softspikes Tour LockTM system delivers a low-profile and high-retention receptacle and cleat combination. New translucent Pulsar cleats offers dynamic, green-friendly traction. No internal shank encourages maximum freedom of movement and ground contact. 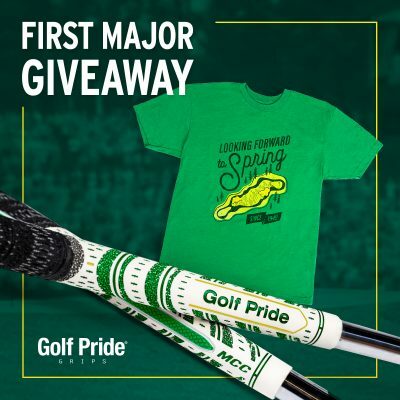 This is a fun time of year, when golf companies are releasing their new products. 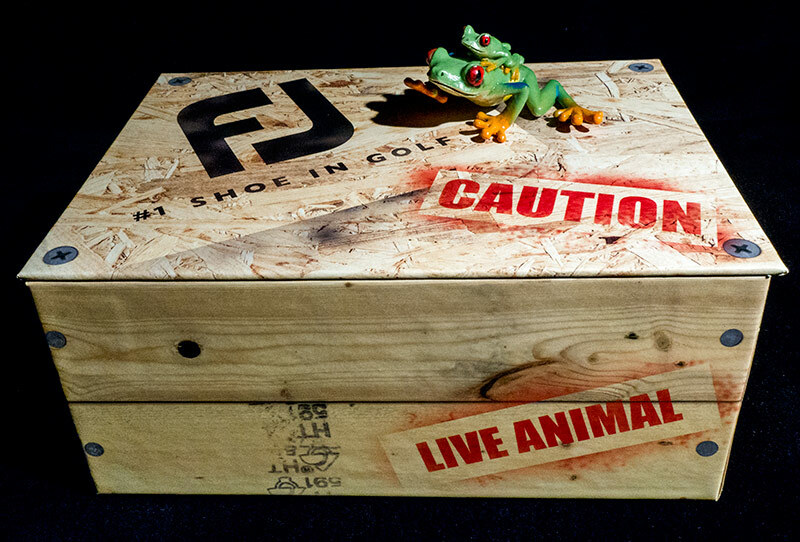 For the last several years FootJoy has started their year by sending out “mystery boxes” to the media, and bloggers. Each box has clues leading to the release of their newest, latest product. Last year that product was the FootJoy Hyperflex golf shoe. I’m still wearing this groundbreaking shoe and it has been fantastic. Very comfortable and super stable. Two years ago it was the FootJoy D.N.A. golf shoe. It’s still a gamer shoe for me and I’ve logged literally hundreds of miles on it. This year’s first mystery box features some frog action. So what’s great about frogs? Suction cups. Long tounges. Hopping. Green. Ribbits. Obviously one of the frog characteristics (or more) will be in the new shoe. I’m going with hopping. You thought I’d go with suction cups. 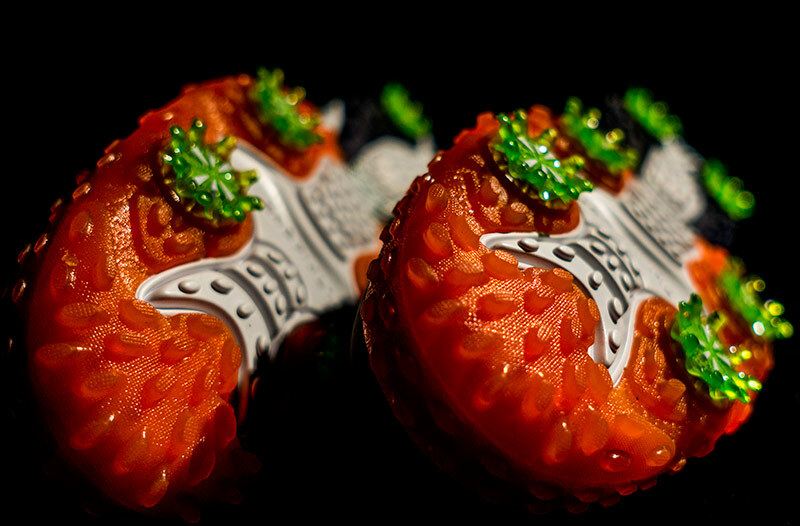 The HyperFlex features “FlexGrid” materials on the outside of the shoe. That’s the mesh you see. It gives the shoe strength but allows it to be flexible and also keep its shape over time. 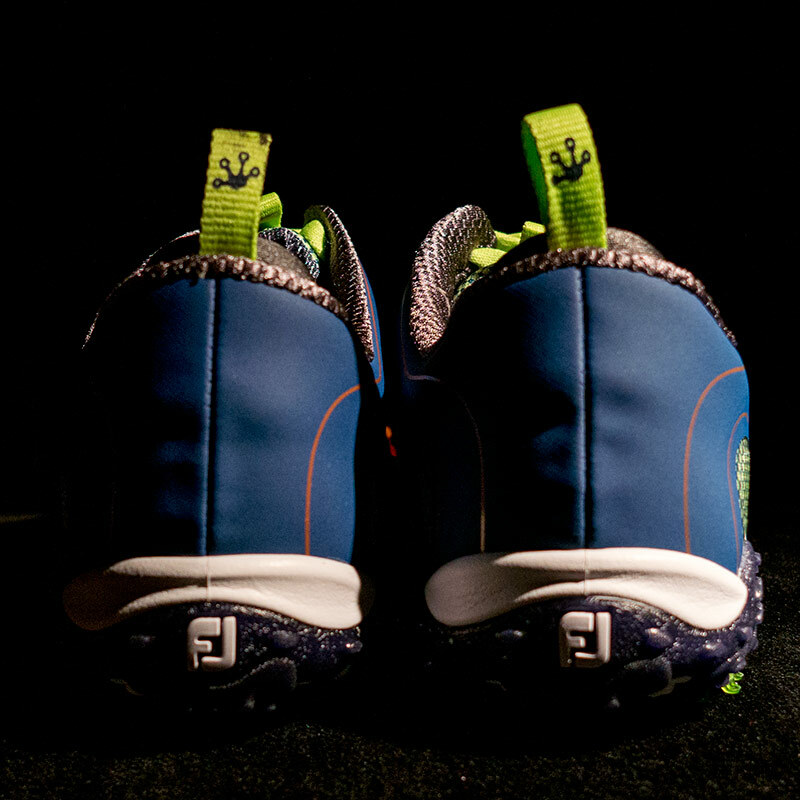 The sole of the shoe is very cushy yet stable via FJ’s “FTF 2.0” technology. FTF is short for Fine-Tuned Foam. 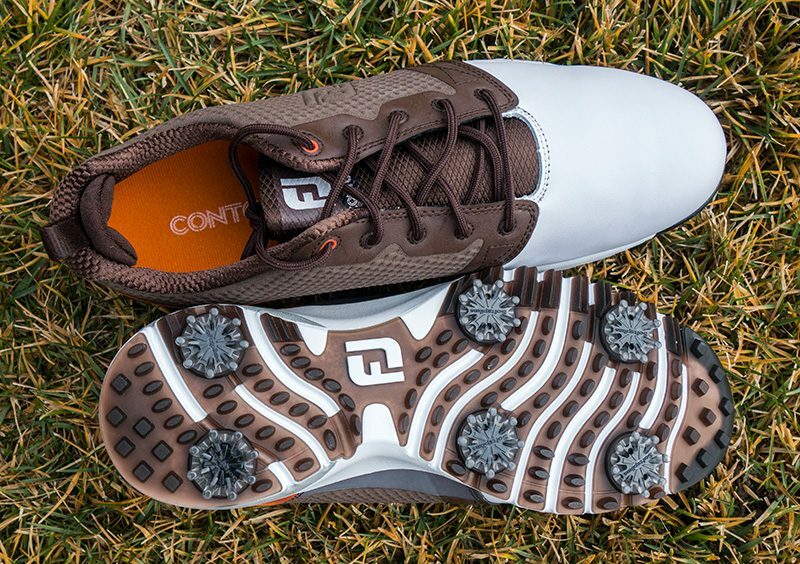 The outsole features all sorts of traction enhancing components via FootJoy’s N.E.O. system. N.E.O. is short for Next Evolutionary Outsole. Yeah I know… who thinks these phrases up anyway? The heel is stabilized by the OPS, “Optimized Performance Stabilizer.” Okay here’s where I’ll try my hand at FJ marketing: The Optimal Performance Stabilizer is very special. So we will call it “Special OPS.” Ha! I think I’ve found my next calling in life, golf marketing. The toe is rounded and the heel narrow to provide a good fit across different sizes and foot styles and the “Fit-Bed” with “Next Gen HeelLoc” helps provide comfort but stability at the same time. 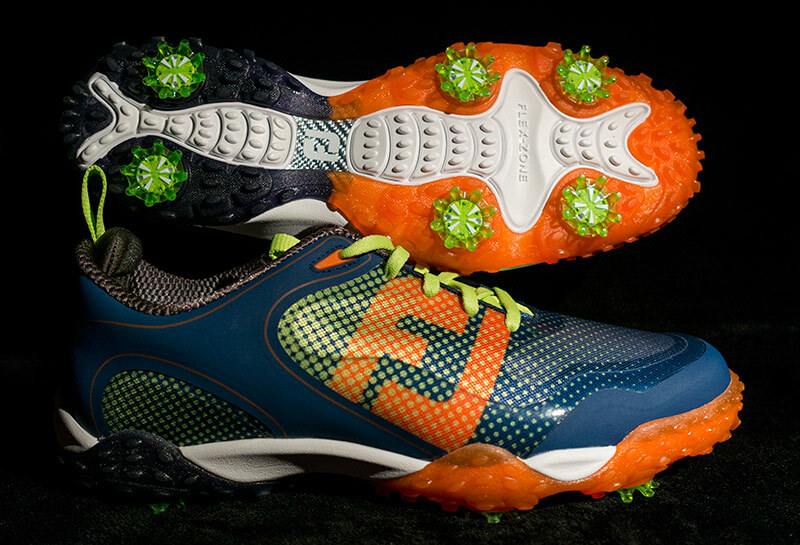 FootJoy has been branching out on their designs and styles over the last few years. Two years ago it was the M:Project (still one of my favorites) and last year the D.N.A. golf shoe. These certainly aren’t the old-style classic dress shoes with golf spikes on them. 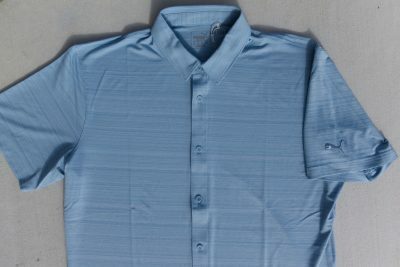 Standard sizes come in everywhere from 7-15 in men’s. A wide model is available in 7.5-13 and an extra-wide is available in 8-12. There are three HyperFlex colors available with FJ’s “BOA” system, a reel which allows the wearer to custom tighten the shoe closure for a precise fit. Those are gray/blue/white, black/red, gray/orange. The performance of the HyperFlex on the golf course is fantastic. I have a super solid base with which I can generate some great power in the golf swing. Aside from a time or two when the ground has been extremely wet or muddy, I’ve never slipped. I find that I draw the ball, especially my driver, more with these shoes. I believe it is because the left shoe is staying planted, and not slipping outward. This is helping me rotate around my spine angle, rather than moving laterally through it. If I change to different shoes, I don’t draw the ball as much. Comfort, right out of the box. The HyperFlex is super comfortable. The cushioning and support all around the shoe really helps, especially when walking the course. Style-wise I’ll admit they don’t quite match up with a few of my apparel scripts from a color standpoint. The photos here in this article show more of a green tint, but they seem to show some blue as well depending on the light source. The mesh is cool looking and I really dig the black trim. I’ve been gaming the HyperFlex golf shoes for half a year and counting. After roughly 70 rounds of golf, they’re still comfortable and still provide superior stability and traction. 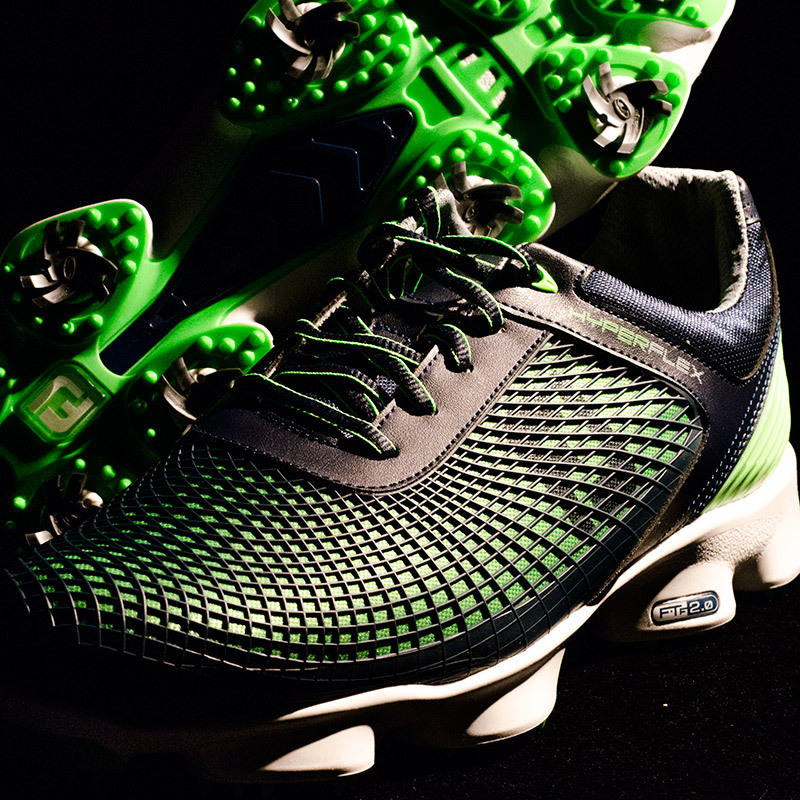 For more shots of these cool looking golf shoes, check out the Hooked On Golf Blog FootJoy Hyperflex photo gallery. FootJoy D.N.A. golf shoe review.